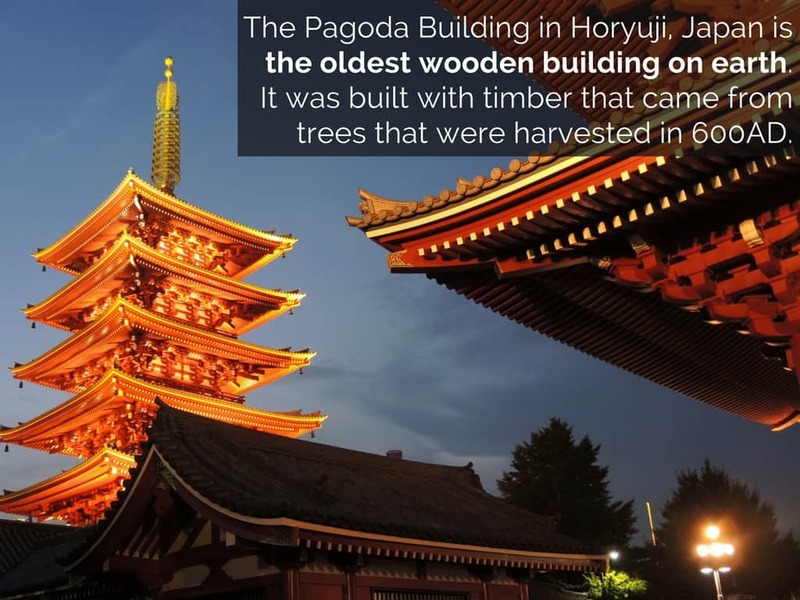 The five-story pagoda building in Horyuji, Japan, is the oldest wooden building on earth. It was built with timber from trees that were harvested in 600 A.D. Horyuji Temple is the oldest wooden building in the world and one of the oldest temples in Japan. It’s no wonder it was Japan’s first World Heritage Site!